My school is one of those progressive institutions. As such, they have embraced the concept of Failure as something positive. Picking and choosing practices from other educational models throughout the country, our school leaders have sought to implement a healthier ethos. The rehabilitation of Failure is part of current changes. Apparently, girls have historically viewed Failure as the dreaded ‘F Word‘. 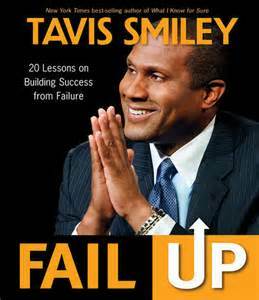 But thanks to Tavis Smiley, talk show host and author of a 2011 book on learning from mistakes, a way to assess flops has reached even our grade-school girls. Teachers at my school tweaked Smiley’s catchy phrase: ‘Fail Up! 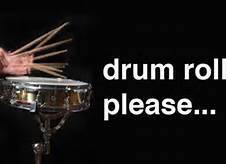 to create the moniker ‘Fail Forward‘ as a way to encourage our students NOT to be discouraged when at first they don’t succeed. After a few months of hearing their teachers preach the benefits of failing forward (aka, learning from one’s mistakes) this phrase now quite easily rolls off the tongues of our grade-school girls. That entire preamble to set the stage for my recent failure to stick to a decision I had made for the 5th? time in my life and announced to those who read this blog. I had resolved NOT to feed the idol/slave driver of the bathroom scale. I carried through for 5 weeks, feeling ‘free’, once I broke my morning habit. And for a while I thoroughly enjoyed NOT having my status beat me up at ‘0 dark30‘ each new day! Then one morning, suspecting that I was gaining weight, I stepped on the scale. Did I talk first to God or even reason through the possible consequences? Didn’t even cross my mind! To my dismay, I found that in 5 weeks I had added more Maria to the planet! 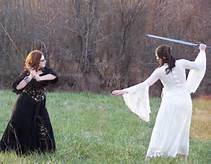 Was I going to employ my only offensive weapon (God’s Word of Truth), specifically His promise that I had been meditating on and ‘preaching’ to my husband? What am I going to do, now that I’m gaining weight? Yet I also desire NOT to be enslaved to the scale! How am I going to eat? How am I supposed to think about food, my body, the scale and ALL that? I wrestled with my unbelief, confessing and repenting multiple times as my mind darted back to THE BURDEN. But God…..(wonderful, life-giving words of hope) gently through a persistent hint of possible resolution and peace, brought to mind a plan to cut back just a little each day. And to weigh ONCE a week to verify if this change might work. I would reassess WITH Him once enough weeks had gone by. Furthermore, through listening to the quadriplegic Joni Eareckson Tada’s reflections on thanking God in the midst of her pain and severe limitations, I was reminded to thank my heavenly Father for strong legs, health and a clear mind. I immediately wrote out a prayer asking God to give me both the desire AND the strength to follow through, in total reliance on Him. That was a week ago. The battle has been fierce at times, revolving around the fundamental issue of trust and gratitude. At times I’ve entertained the idea of just hopping on that ‘evaluator’ THIS morning. After all, the temptation is not to do something morally wrong or explicitly condemned in the Bible. Yesterday was Saturday – my first ‘weigh-in day’ since this battle broke out again. I was down 2 tenths of one pound. (thank you, Lord, for this evidence of your grace). Certes, mais tout n’est pas bon pour moi. For sure, but everything is not good for me. Tout m’est permis, c’est vrai. Everything is permitted me, that’s true. Mais, je ne veux pas me placer sous un esclavage quelconque. But I don’t want to put myself under any version of slavery! for Christians, God promises to work ALL things together for our good, as part of His plan and purpose to conform us to be like our older Brother, Jesus. Mary – I love your point that each time we trust God (aka practice obedience to His word) we gain strength in our faith and sharpen our character as you put it. Keep on biting that tongue! Your scale is WAY too sensitive, Maria! I’m up, too, but the weight will go down when I’m done baking for others! And I keep laughing about that line of Maria’s -adding “more Maria to the planet.” Haha! That puts a positive spin on the topic! I’m using that from now on!